A young and penniless writer, Kif Kehlmann, is rung in the middle of the night by the notorious con man and corporate criminal, Siegfried Heidl. About to go to trial for defrauding the banks of $700 million, Heidl proposes a deal: $10,000 for Kehlmann to ghost write his memoir in six weeks. But as the writing gets under way, Kehlmann begins to fear that he is being corrupted by Heidl. As the deadline draws closer, he becomes ever more unsure if he is ghost writing a memoir, or if Heidl is rewriting him-his life, his future. Everything that was certain grows uncertain as he begins to wonder: who is Siegfried Heidl-and who is Kif Kehlmann? By turns compelling, comic, and chilling, First Person is a haunting journey into the heart of our age. And What Do You Do, Mr Gable? A solid and impressive insight into ghost-writing. The book has all sorts of dramatic ironies, given that it is in part the biography of a failed writer written by someone with a Booker prize. The main theme is carried by the aspiring writer's task to deal with a soon-to-be-jailed con-man with slightly weird and unexplained access to information. The role of a "ghost" writer is sustained in odd ways but includes insights into the rather nasty world of publishers and editors. It dragged a bit in places with digressions more likely to appeal to anyone interested in the details of child-birth. I was much more receptive to the occasional back-handers offered to the insularity of Tasmanian self-identified intellectuals - I abandoned Hobart in 1961 but avoided the dreariness of outer-suburban Melbourne. Overall, money well spent. A beautifully written book with plenty of wry Australian humour which softened the brutality of the story, but I feel that it was too long. Also, there was a lot of repetition in regard to his feelings for Heidl. family, etc., which I began to find a little tedious. This book was tedious and slow. I couldnt connect with any of the characters and I only kept reading because Ithought there would be redemption. I guess the author really made me feel the disconnetion that was at the centre of this book but I feel I wasted my time. Totallt unatisfying. For me, this is not Flannagan's best novel. I've read them all and enjoyed his writing but this one is a bit of a let down given the standard of his other works. However in saying that, I must add that the description of the birth of the twins is excellent. Perhaps the narrative in this one was a bit disappointing for me. I have never read such a stupid book in my life. 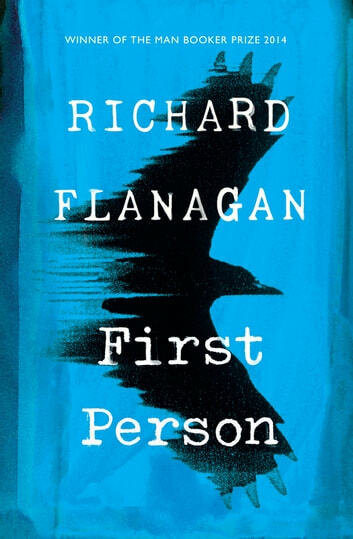 The other Richard Flanagan books I have read have been good.